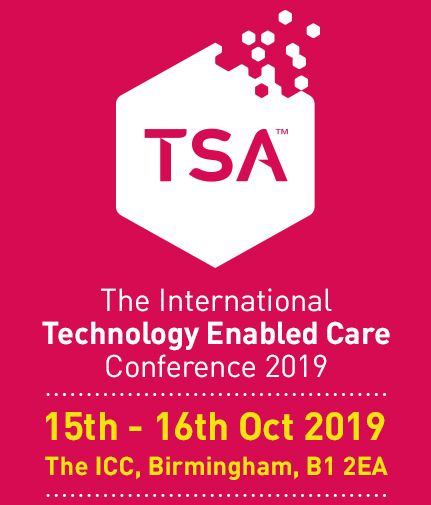 Can you demonstrate how your digital solution is leading the way and emerging as a digital exemplar, maybe through the use of technology and/or data as a key enabler to support increased independence and future-proof services. Discover how leading provider of retirement housing and extra care services, Housing and Care 21, have been working with Appello to ensure they are ready for the digital upgrade to the UK telephony infrastructure. Ensuring resident safety is at the forefront, Housing and Care 21, have worked with Appello to ensure they are well positioned to take advantage of all the benefits digital technology. This session looks at how this project has been implemented, the benefits realised by residents and organisations, and where digital will enable housing and care 21 to move to in the future. Telecare service into ATS provides a platform for additional income generation to provide a sustainable Telecare service. With budget cuts and rising staff and food costs can food technology play a vital part in the way we support carers, businesses, CCG’s, NHS Trusts and the ageing population? We know that the future of health is in the food we eat but what does this future actually look like and what will it mean for business as usual? Practical examples of how NHS, social care and housing organisations are redesigning services to be more person-centred. Offering better support for carers and families and to position the right care at the right time for more cost-effective delivery of social care and health services. AutonoMe is an innovative support system for people with Learning Disabilities helping them develop and measure their independent living skills inside and out of commissioned hours. In this session William, Founder of AutonoMe talks about his background, where the idea came from, how its matured into what we see today and what the future holds. William will also touch on the current trends they see across services and delve into some examples of their data. How can modern technology help deliver improved outcomes for people, support them to maintain their independence and live well, whilst also making substantial savings for Local Authority funders? Northants Adult Social Services and Canary Care will show you. Hear about how Bath & North East Somerset Council (B&NES), Hft and We Care and Repair (WCR) worked together to use technology to improve outcomes for people with learning disabilities. The project aimed to create or maintain independence and sustain families and drew on WCR’s skills in home aids and adaptions, as well as Hft’s experience in delivering person-centred assessments for assistive technology and measuring the impact of that technology over time. You’ll get to find out about how we worked with TEC Services Association members after last year’s ITEC Conference. Following an incredible year meeting over 20 companies and helping them to improve their Marketing, Digital and even VR communications, we would like to share with you some of the amazing solutions we have come up with as part of our #FreeCREATIVE initiative. We’ll then talk about the simple ways in which our type of thinking combined with your enthusiasm for improvement, can change your communications for the better. Unbelievably, it all began for FREE! *Obviously no confidential information will be shared.